MINI COOPER 2002 - 2008. 2002-2006 MINI COOPER 1.6L. 2007-2008 MINI COOPER CONVERTIBLE 1.6L. POWER STEERING PUMP. Good condition used power steering cap removed off a 2010 Mini Cooper. REMOVED FROM 2007 MINI COOPER S 1.6L. MINI COOPER 07-08 (1.6L), HT. MINI COOPER 09-10 (1.6L). Electric power steering motor. THIS STEERING PUMP IS IN GREAT USED CONDITION AND FUNCTIONS AS INTENDED. BUY WISELY, MAKE SURE YOU ARE BUYING THE CORRECT PART NUMBER FOR YOUR VEHICLE. 07-10 MINI COOPER MATCH PART NUMBER. THIS STEERING PUMP IS IN EXCELLENT CONDITION AND FUNCTIONS AS INTENDED. For More OEM Recycled Auto Parts For Your Car or Truck. DB 7/26/18. 02-06 mini cooper R53 R50 R52 oem power steering pump wire harness ..
02-06 mini cooper s / base hatch R50 and R53. 05-08 mini cooper s / base convertible R52. for sale is oem power steering pump wire harness for mini cooper R50/R52/R53 ;. 213 DONOR: PERFECTLY RUNNING 2006 MINI COOPER S. MILLAGE : 62903 MILES ! MINI COOPER 2002-2006 1.6L Engine. MINI COOPER 2007-2008 CONVERTIBLE 1.6L Engine. POWER ELECTRIC STEERING COLUMN MOTOR. This steering motor is 100% rust free. This item is used and in good condition. 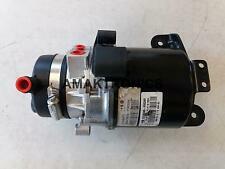 2002 - 2008 MINI COOPER POWER STEERING PUMP MOTOR 1.6L. 2002-2006 MINI COOPER 1.6L. 2007-2008 MINI COOPER CONVERTIBLE 1.6L. It's in good, working condition. ALL USED POWER STEERING PUMP ARE SOLD 'AS IS.'. 2002 - 2008 MINI COOPER. POWER STEERING PUMP MOTOR. 2007-2010 Mini Cooper Hatchback. 2009-2010 Mini Cooper Convertible. Power Steering Pump. 2002-2008 Mini Cooper 1.6L Electric Power. 2002-2006 Mini Cooper 1.6L. 2007-2008 Mini Cooper Convertible 1.6L. We always do our best to get you the best part possible. There is no labor warranty included. Model: MINI COOPER. This item is from a 2007 MINI COOPER. Power Steering Pump Electric Assist Motor. Year: 2007. Labor is not covered by warranty. 6 Month Warranty. Warranty will be voided. We UV mark all our parts inside and out. This cannot be seen once installed. This is for us to know if it has been tampered with. We mark inside and out of our faceplates with special symbols as well as the internal parts. Model: MINI COOPER. This item is from a 2008 MINI COOPER. Power Steering Pump Electric Assist Motor. Year: 2008. Labor is not covered by warranty.
. SEE THE PICTURES CAREFULLY . SEE PICS FOR DETAILS. TO NORMAL DAILY USE. HAVE BEEN TESTED AND OR INSPECTED. EXACTLY AS PICTURED. OEM Part #32 10 9 810 036 (32109810036 ). 2011-2013 Mini Cooper Hatchback and S (R56). We dismantle complete vehicles, so we havemany other Mini Cooper, BMW, Land Rover, Range Rover and Volkswagen Parts available! 2003 Mini Cooper Base. MINI R50 ?. (09/2000 — 11/2006). MINI R53 ?. MINI Cabrio R52 ?. (11/2002 — 07/2008). Must be in original condition, or it does not qualify. All parts are tested before removal from the vehicle! PART WAS REMOVED FROM A LOW MILEAGE DONOR VEHICLE AND IS IN GREAT SHAPE. PART WORKS GOOD, TESTED AND IN GOOD CONDITION. HAVE BEEN TESTED AND OR INSPECTED. SEE THE PICTURES CAREFULLY . SEE PICS FOR DETAILS. TO NORMAL DAILY USE. VIN: WMWMF73537TT82692. EXACTLY AS PICTURED. 02-06 mini cooper R53 R50 R52 power steering pressure hose ONLY 25K MILES!! ..
02-06 mini cooper s R53 / base R50 hatch ;. 05-08 mini cooper s / base R52 convertible ;. for sale is oem power steering hose for mini cooper R50/R53/R52 ;. 238 DONOR: PERFECTLY RUNNING 2005 MINI COOPER S. MILLAGE : 24949 MILES ! ThisFront Power Steering Fluid Tank Reservoir Bottle is used, but is in good working condition and was tested prior to removal. This part was pulled from a 2005Mini Cooper S R53 1.6L. THIS PART IS BEING SOLD AS IS. OEM Part # 32 41 6 781 596 (32416781596). 2005-2008 Mini Cooper Convertible and S (R52). 2002-2006 Mini Cooper Hatchback and S (R50, R53). We dismantle complete vehicles, so we havemany other Mini Cooper, BMW, Land Rover, Range Rover and Volkswagen Parts available! 2011-2013 Mini Cooper EPS Power Steering Rack Motor Control Unit 32109810036 R56. Condition is Used. Shipped with USPS Priority Mail. MINI COOPER 15 Power Rack and Pinion; HT, w/o park assist. MINI COOPER 14 Power Rack and Pinion; HT, w/o park assist; from 3/14. MINI COOPER 16-17 Power Rack and Pinion; w/o park assist. This part will fit these makes and models with these options. A great opportunity for a R50/R52/R53 power steering pump! FERMAN MINI OF TAMPA BAY - MINI ACCESSORIES. MINI ACCESSORIES & MOTORING GEAR. 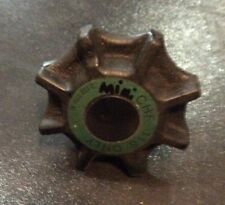 original MINI part. New OEM remanufactured from the factory for R50 hardtop non S, R52 convertible and R53 hardtop S production. New OEM for R50 hardtop non S, R52 convertible and R53 hardtop S production. R50 R53 Hardtop 2002-2006. For the R52 convertible 2004 to 2008. A great opportunity for a R50/R52/R53 power steering fan with bracket! MINI COOPER 02-06 (1.6L). MINI COOPER 07-08 (1.6L), Conv. POWER STEERING PUMP. Standard Part Categories include C Grade - The third level quality part. No Grade - A part that has not yet been graded. New OEM for R50 hardtop non S, R52 convertable and R53 hardtop S production. R50 R53 Hardtop 2002-2006. For the R52 convertable parts applies up to 2008. This is the rack to pump hose see diagram. A great opportunity for a R50/R52/R53 power steering hose! Part came off of a 2004 Mini Cooper with a 1.6L engine. Part is not cracked or broken. I will ship within 1 business day of receiving payment and buyer pays any return shipping. If you have any questions please feel free to ask and thanks for looking. 2008 - 2010 MINI COOPER CLUBMAN. 2007 - 2008 MINI COOPER 1.6L, HT. POWER STEERING PUMP. Standard Part Categories include C Grade - The third level quality part. No Grade - A part that has not yet been graded. 2007-08/2010 Mini Cooper Hatchback, S and JCW (R56). 2008-08/2010 Mini Cooper Clubman, S and JCW (R55). 2009-08/2010 Mini Cooper Convertible, S and JCW (R57). This Part will Fit these makes and models .